Clear Skies features a selection of single family homes for sale on large 36′ to 45′ lots in a carefree family community. Just minutes north of London, Clear Skies blends all the advantages of a suburban family friendly neighbourhood with the convenience of big city amenities. Discover our builder partners and learn about their product offering to suit your family’s needs. 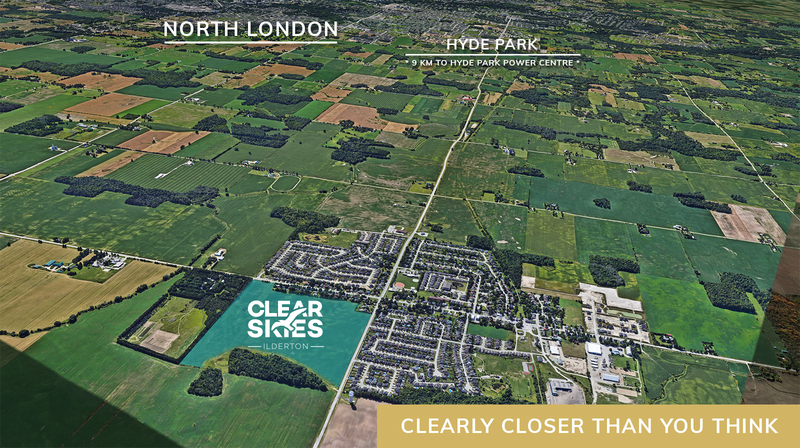 Just a short drive from London’s Hyde Park and Masonville shopping centres, Clear Skies is a new home development that promises more for your family. By submitting this registration form you agree to giving express consent to Sifton Properties Limited and our Builder Partners and Clearskies Sales Representatives to contact you. You may unsubscribe at any time.